Everything you need to know to find the Hidden Banner in Fortnite Season 8 week 6. If you’re looking to complete Season 8’s Discovery in Fortnite, then you’re going to need to find the week 6 Hidden Banner. Before you can do that, though, you’re going to have to complete all seven of the challenges available this week. We’ve outlined everything you need to know in the guide below. Each week, players will be able to find a Hidden Banner or a hidden Battle Star to help with this season’s Discovery item. 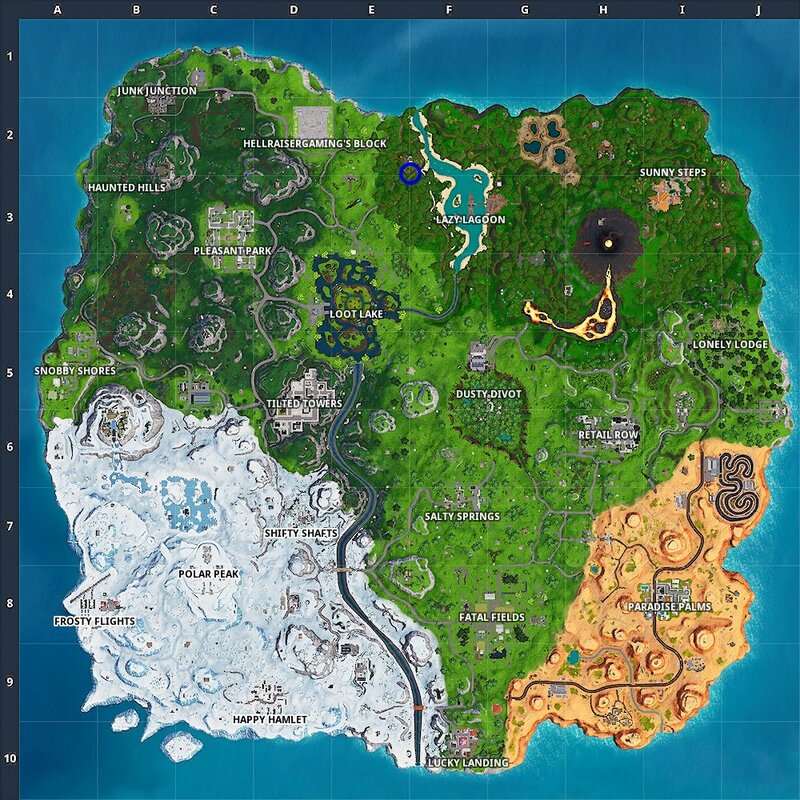 While no official details are available about what Season 8’s Discovery will be, players have been able to work their way towards it since the season kicked off. This week's Hidden Banner can be found where E2, E3, F2, and F3 meet. Visit a wooden rabbit, a stone pig, and a metal llama. Visit the 5 highest elevations on the island. Eliminate opponents at Lazy Lagoon or Frosty Flights. Land at Fatal Fields (stage 1 of 5). Search where the knife points on the Treasure Map loading screen. Get an elimination with a Flint-Knock Pistol or Boom Bow. Use different throwable items in a single match. When you’ve completed all of these challenges, you’ll be rewarded with a new loading screen, which we’ve included above. This is where you’ll find all the info you need to uncover the Hidden Banner’s location. The Discovery loading screen holds the key to this week's Hidden Banner's location. 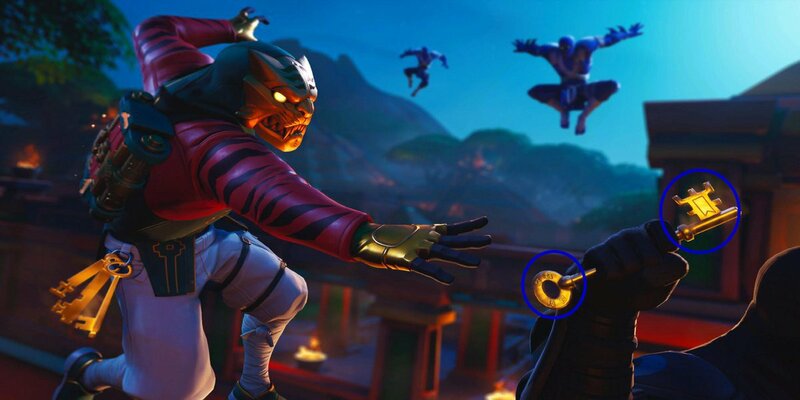 If you look at the loading screen, you’ll see that the key has an icon of a banner engrained on it. Furthermore, if you look down the key, to the ring portion of it, you can just make out some coordinates on the map. These coordinates read: E2, E3, F2, and F3. It should be noted that the Hidden Banner will not appear if you do not complete all of the week's challenges. To find the week 6 Hidden Banner, you’re going to want to head to the area where these coordinates meet. This is just between The Block and Lazy Lagoon. We’ve marked the exact position on the map included in this article, so make sure you refer to it if you have any issues. Now that you’ve found the Hidden Banner in Fortnite Season 8 week 6, be sure to head back over to our Fortnite guides for more help with all the weekly challenges you’ll encounter in the latest season.